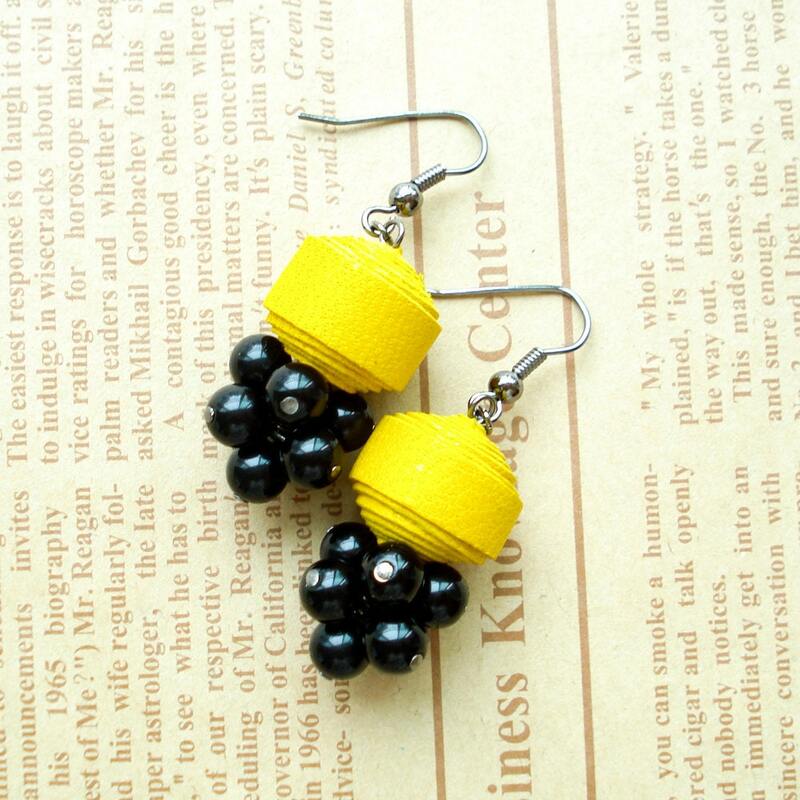 Splash color on you with this adorable earring. 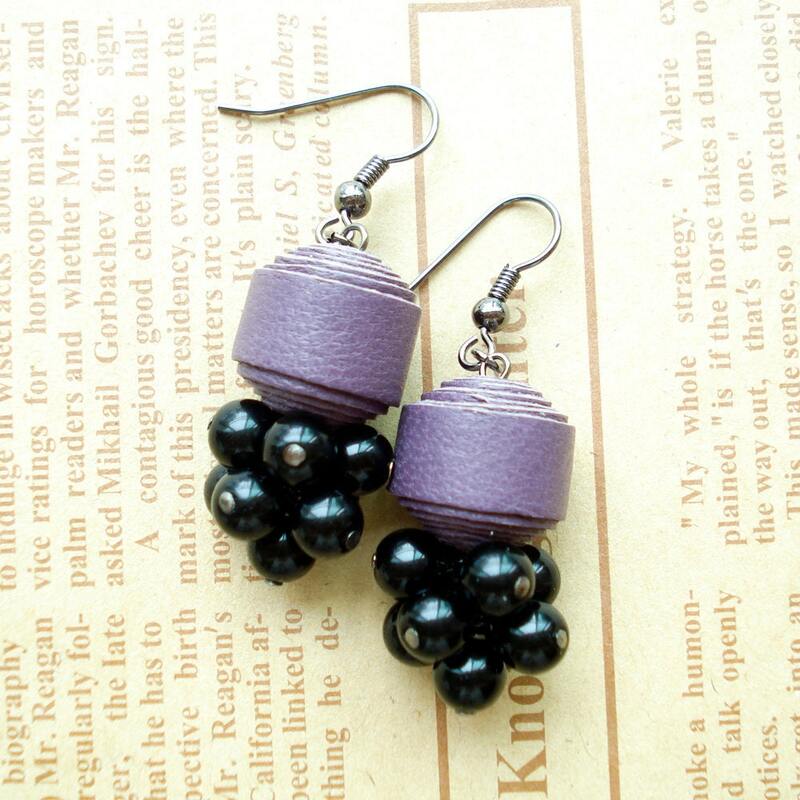 Handcrafted Genuine Lamb Leather ball is cut and rolled one by one with love. 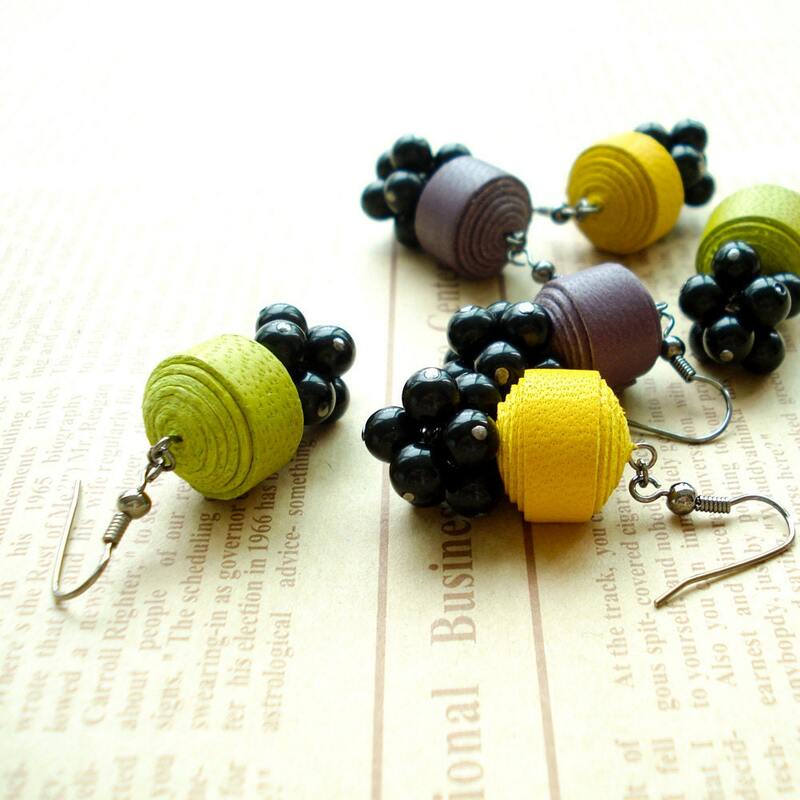 This earring is made with colorful Genuine Lamb Leather ball and tiny black acrylic beads. 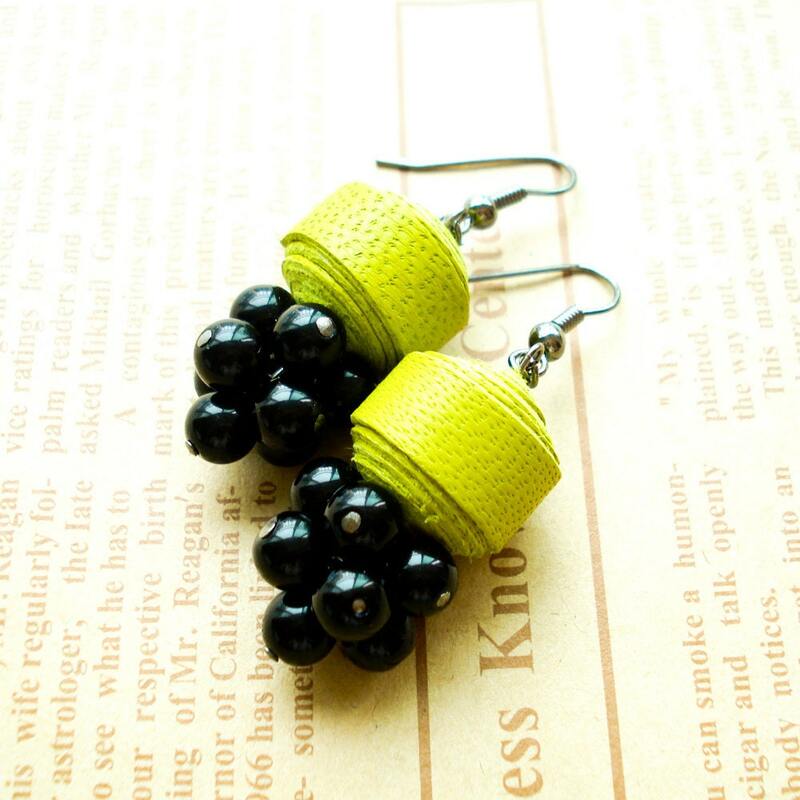 Complete with NICKEL FREE gunmetal earring wire.